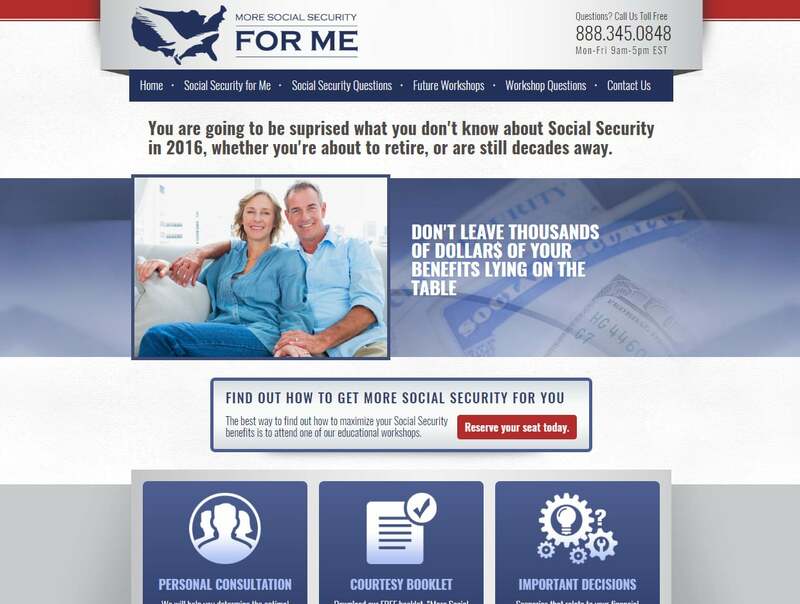 Professional web development Virginia | The More Social Security For Me’ web design is part of the online branding strategy for the financial partners at OWRS. This website design features a tasteful red-white-blue patriotic branding throughout the webpages. Call-to-action inquiry boxes are used throughout to increase customer inquiries and registration page for seminar attendance. When searching Professional website design Virginia look no further than the web design experts at VISIONEFX . VISIONEFX, a Web design company based in Virginia Beach, VA provides services to national companies as well as small to medium businesses throughout the United States to include; custom web design, web development, E-commerce web design, Word Press web design, Joomla web development, SEO and web maintenance services. Call: (757) 619-6456 or info@visionefx.net. VISIONEFX also has excellent Reviews posted on Google My Business pages.